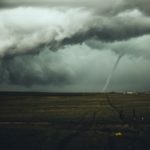 We have a great number of amazing blog posts contributed by our local bloggers. 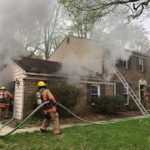 Discover what is happening in your neighborhood by reading their latest posts. 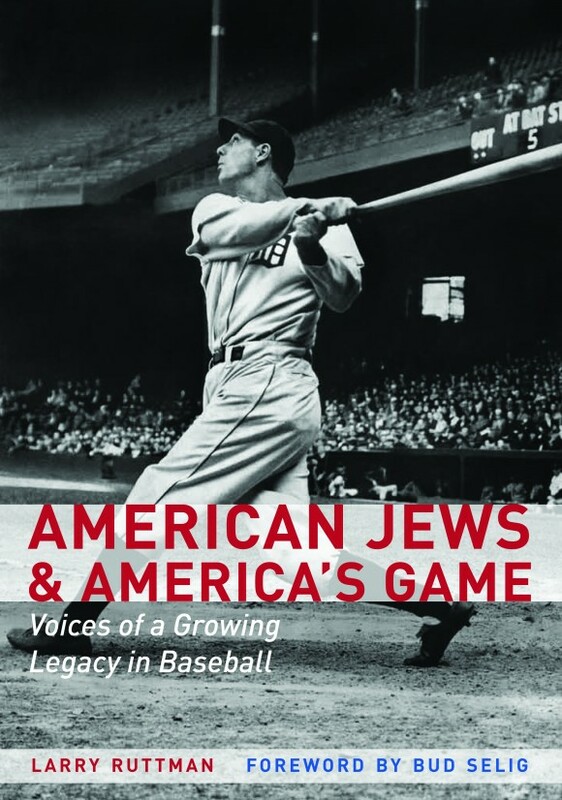 The book, American Jews and America’s Game, published by the University of Nebraska Press, will appear next Monday, April 1. It will be Opening Day, and though the Passover season will just be ending, it is a perfect time to consider this book and the depth of history it conveys. 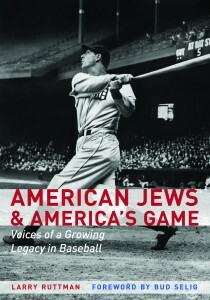 Although my wife was surprised at the girth of the book–“Are there really that many Jewish baseball players?”–author Larry Ruttman has compiled not just the players, but the owners, agents, fans, trade unionists and anyone who has had an historic impact on the long history of America’s Pastime. The beauty of the telling is in Ruttman’s willingness to let the characters speak for themselves. It is reminiscent of Studs Terkel’s many books of oral history which were memorable for the richness of tales that each person could tell. The personal narrative stands alone. Every person in the book is Jewish and involved in the game of baseball in some way, but as they talk to Ruttman you realize that there is something more that unites them: a deep and abiding love of baseball. That emotional link weaves together the disparate perspectives that the many players and fans bring to the table. Ethnicity has been so important to baseball. It was dominated in its formative nineteenth century iteration by the brawling Scotch-Irish and became America’s favorite game only when patricians like Ban Johnson–founder of the American League–saved it from its early rough and tumble reputation. Johnson was part of the well-healed WASP element that took control of the purse-strings, the rule-making and the dress code; but ethnic America did not roll over and play dead. They brought in the heavy hitters. Hank Greenberg is the watershed figure of Jewish baseball. He was not the first Jew in uniform, but he is the first face carved on the Mt. Rushmore of Jewish Baseball and Ruttman begins there. So many accounts of Greenberg’s life have appeared in recent films and books that Ruttman focuses only on the Greenberg that his sons and daughters knew. Steve Greenberg, his son, knows the game from many years of involvement, but he offers a new and nuanced vision of his father the famous Tiger slugger. I was so taken with the story of Greenberg as told in the book that I read one particularly telling anecdote during the Passover Seder at our house. I am the non-Jewish part of our household and our Seder has always had an ecumenical vein, so forgive me; I understand that our practice may not be for everyone. But regardless how religious philosophy colors your baseball, whether you are a fan lapsed or orthodox, this book belongs within the ballpark of your baseball knowledge. The second face on the monument to Jewish Baseball may be Ryan Braun, but Bud Selig is giving him a run for his money. And that is why a book about Jews and baseball has to go beyond the players, why it must include those like Marvin Miller–who belongs in the Hall of Fame at Cooperstown–and the many scribes who have written of the game so eloquently. Ruttman talks about Selig and Reinsdorf almost in the same breath as Don Fehr and Marvin Miller. Each has made historic contributions to the game and each has wonderful stories to tell regardless what side of the labor confrontation they represent. There is the one about Bud Selig and the fan who confronts Selig in his favorite hot dog stand near Milwaukee’s old stadium in a loud and emotional voice one day. He recounts to Selig–so that everyone in the restaurant can hear–how the man had watched the Brewers clinch the championship just days earlier–in 1982, accompanied by a seemingly lost prodigal son. Watching that game with his wayward son had forged an unique emotional link between a father and a child that the man assured Selig would stand the test of anything the future could hold for them. And yes, the All-American Girls Professional Baseball League had Jewish women playing in the 1940’s and 50’s at the highest level of competition women have ever enjoyed. Tiby Eisen and Anita Floss were stars of the league who became friends. They are interviewed by the author together and they bring the same spirit to their stories as they did to the game. There is nothing missing from this book. There is something for everyone. No matter your religion or ethnicity, American Jews and America’s Game can take your baseball to the next level. All the tales are true; all the tears are genuine. Ted Leavengood is a baseball writer who is the managing editor for Seamheads.com a national baseball blog and writes a weekly column for MASN.com. 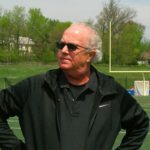 He is co-host of a weekly podcast, "Outta the Parkway," that airs every Friday night at 7 pm on the Seamheads Podcast Network and a member of the Society For American Baseball Research. 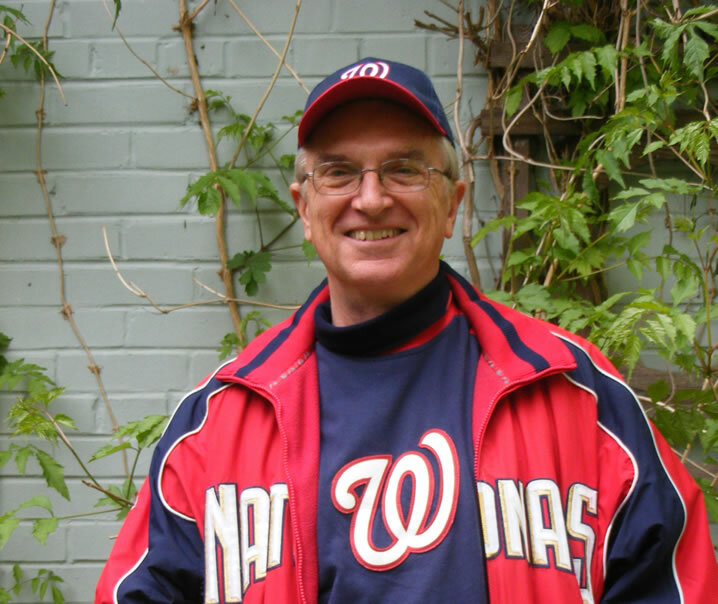 He has written three books on the history of baseball in Washington: Clark Griffith, The Old Fox of Washington Baseball; Ted Williams and the 1969 Senators, and The 2005 Nationals, Baseball Returns to Washington, DC, a journal of that season. Ted lives in North Chevy Chase with his wife Donna.